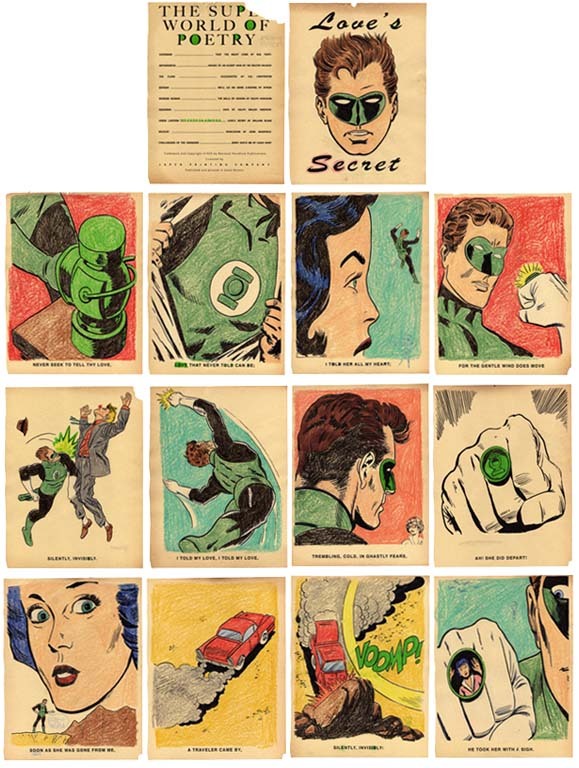 This is a 14 page fabrication, made to look like a coloring book from the 1960s featuring Green Lantern portraying 18th century English poet William Blake's "Love's Secret". Each page is 8 1/2" x 11", canary newsprint with india ink and crayon. NOTE: price is for all 14 pages, sold as a set.